LONDON: The Metropolitan police issued a warning to a Pakistani national on filming former Nawaz Sharif’s son, Hassan Nawaz’s young children, reported a local media outlet. This warning was issued after a small film on August 6, containing Hassan Nawaz’s sons aged 5 and 10, started making rounds on the social media. The video was allegedly filmed while Hassan Nawaz was shopping with his wife and kids at London’s Morrisons Supermarket. The filmed was aired on local television channels and carried on several social media accounts without the consent of parents, which is a breach of laws in England that protect minors under 16 in England and Wales. The maker of the film, Shahbaz Ayub Qureshi, has given a written undertaking to the authorities admitting that filming Hassan Nawaz’s children without the consent of a parent, was contrary to the law of England & Wales and that he would never attempt any such thing again. He said he was not aware that it was an illegal act in England. He also said that he has removed the illegal content from his website and has also requested several social media accounts take it off. 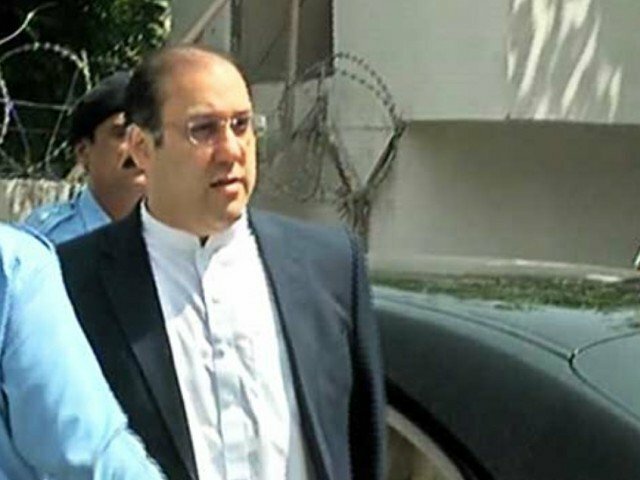 Hasan Nawaz Sharif’s lawyer also wrote to Qureshi and warned him of consequences as the faces of Hassan Nawaz’s children were visible in the footage. Hassan Nawaz Sharif told the newspaper that he has no problem with being filmed but little children should not be dragged into politics. He said that he holds no personal grudge against the person who filmed the kids especially as he apologised and confirmed that a thing like this wouldn’t happen again.